Deja New is a Women's Clothing Consignment Boutique located 2 doors down from Snazzy Seconds. New! 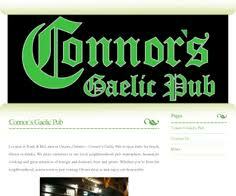 Connors Pub and restaurant, serving Irish food and drink. Find GREAT DEALS on the Shop St. Joseph website. Coupons, promotions and more!